Huge Savings Item! Free Shipping Included! 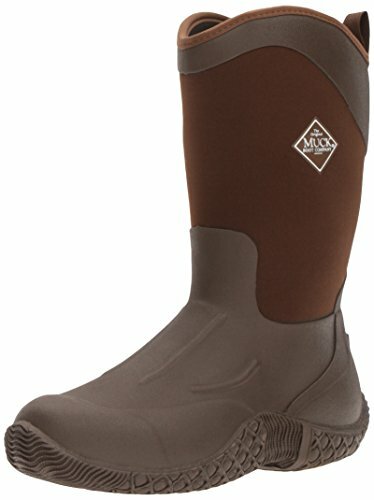 Save 13% on the Muck Boot Women's Tack II Mid Snow Boot, Brown, 8 M US by Muck Boot at Femi Store. MPN: LYSB00TSRALWS-WMNFSHSHOE. Hurry! Limited time offer. Offer valid only while supplies last. Hardworking and good looking, the Muck Tack ll Series Mid-Height Women's Rubber Barn Boots are a great choice for wet and muddy days on the farm. Hardworking and good looking, the Muck Tack ll Series Mid-Height Women's Rubber Barn Boots are a great choice for wet and muddy days on the farm. They're built on a women's-specific last for a slimmer shape and a better fit. Made with a 100% waterproof 4 mm Flex-Foam neoprene upper, these women's rubber boots bend and move with your feet for exceptional comfort and flexibility on active days. The breathable Airmesh lining keeps feet dry and cool while the durable, easy-to-clean outsole protects in muddy, wet environments. A handy heel spur lets you easily kick these work boots off at the end of the day without getting your hands dirty. Comfort rated from subfreezing to 65 °F (18 °C) for reliable performance in a variety of settings, these barn boots are easy to coordinate with your existing wardrobe.